The last few days have been so densely packed with anime industry developments that we’re going to split the coverage in multiple posts. For this article, megax has taken a handful of news themed around the idea of planning – these are some ideas brewing in the industry and already coming into fruition, hopefully to make it a better place. Directly improving the lives of the creators, reaching international fans, diversifying output, crowdfunding used in ways you wouldn’t expect, there’s plenty of interesting material here! As briefly mentioned in the post detailing the main staff and production circumstances of Violet Evergarden, Kyoto Animation is strongly betting on an international push for the first Grand Prize winner in the company’s awards. The confidence in the title also comes from its aesthetic and tonal appeal to general western audiences, plus the action component that tends to be well received in the US in particular. In the past, KyoAni either weren’t allowed to sell international rights (Kadokawa/TBS kept those to themselves for their works) or entrusted those duties to other companies, as has recently happened with the likes of ABC Animation and Pony Canyon dealing with them. This appears to be a different case. One possibility is that KyoAni themselves are selling rights internationally for the second time (they did have an English site for Munto which mentioned them selling it in the US). That would explain all this promotion done differently, with the studio’s promotional videos explicitly mentioning fans overseas. It would also be an answer as to why the first episode will be finished 6 months ahead of broadcast, something unusual for the company; they would be providing the materials to licensing partners early to show good faith as a first-time licensor. Anime Expo showed that ABC Animation was present on the committee and so they are the likely holder of international rights, much like their presence on Free, Phantom World, Dragon Maid, and A Silent Voice indicated they held rights for those productions. As such, this speculation is completely unfounded and we have struck this out as incorrect. Apologies for fanning the incorrect information and getting hopes up. There are other possibilities of course, but that’s one that I’d like to speculate on until we know the committee members. If this were the case though, it could be quite big for the studio. The international market keeps on growing and their move towards film-focus is an obstacle to immediate worldwide accessibility, so if the title they get to sell themselves performs very well they’ll likely invest in similar projects. It could be interesting to see how they act as licensors to begin with – would they be restrictive like TBS was with their properties, or would they act more similarly to ABC Animation’s early collaborations (such as when they sold a metric ton of rights to Free! to Crunchyroll in 2013)? Those are questions we don’t have answers for at this moment. And while we’re talking about the studio, let’s move onto a different plan of theirs: another initiative to improve the working conditions of their staff. Casually placed on their website, without any news pointing it out, there’s a new project regarding their employees that’s been in place since the beginning of this month. Its goal is to harmonize work and personal lives, so mothers in particular have less things to worry about. The first concrete point is to create a new information system for employees on child-care leave so that they don’t feel alienated when they return to work. This is solved by giving a guidebook to employees preparing to take time off and running an internal magazine to keep them up to date while they’re out on leave. Anime production is a communal effort, particularly so when you work at a studio that actually handles all the steps, so departing for a long time can create some disconnection. In addition to that, their second initiative is a system that allows employees with children who aren’t old enough to go to school to work shorter hours. Rather than being vague ideas for the future, this is now in place. The studio really is in an entirely different dimension when compared to the industry at large: while we’re stuck trying to get animators to earn more than 2 bucks per drawing, they’ve got everyone as full-time employees with living wages. But the important part here is not to get complacent. The child-care leave system was already in place, but things always can (and must!) improve. 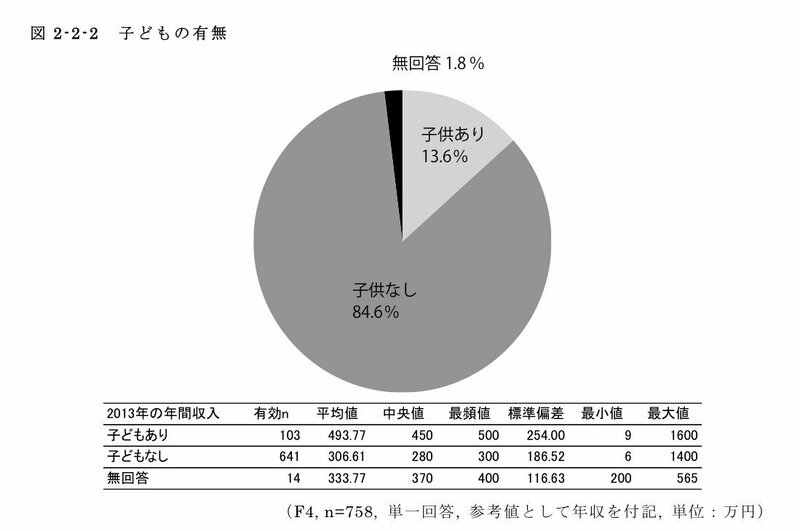 This industry has an endemic problem when it comes to healthy family lives; according to JANiCA’s reports, around 85% of anime industry members don’t have children, not just animators. Conditions for mothers are particularly relevant in a studio that is majorly female, and allowing fathers to work less when they’ve got a child to worry about is positive as well. It helps to have a young mother in the company’s board of directors I suppose! Here’s hoping that we have more positive news to highlight as concrete examples to strive for. And as a side note, KyoAni posted their recruitment for 2018 for non-animation employees this week with a new and interesting job description: “Other.” Basically, they’re allowing potential employees to convince them that they have talent in fields that don’t fit into other general studio jobs like production assistant or website designer. They mention “promotion/advertising”, “public relations”, “international business”, or “systems engineer” as some potential ideas, which aren’t explicit jobs KyoAni recruits for. Just a curiosity! Next up in planning news we have another I.G Port company attempting to diversify their projects. Production I.G, alongside Bandai Namco Entertainment’s Digital Engine, produced a 2015 live action film called Garm Wars: The Last Druid directed by the legendary Mamoru Oshii. This year they plan to follow that up with a live action Blood-C film made alongside NEGA Co. It’s not a standard move for anime studios of course, but Production I.G is rather special so we’re already used to such decisions. However, it was announced recently that this time it was Studio WIT who funded a live action film called Summer Blooms. The film will be shown at the Moscow International Film Festival later this month and at the Taipei Film Festival later, with no Japanese opening revealed yet. Much like anime, financing a live-action film is a big deal; even moreso for WIT, who hasn’t been on a lot of committees (or have had Production I.G take their place instead). It might be a good move to secure extra funding if these films do well, and simply as a way to channel the creativity of the producers through another outlet besides animation. Obviously this isn’t feasible at all for normal anime production companies, but those within the I.G Port umbrella get to be much more ambitious. I’m curious how many live action films the anime studios working under this parent company will create in the future. Since we’re talking about plans related to financing, it’s also worth highlighting the news that CyberAgent, parent company of CyGames, will be creating a 3 billion yen fund to expand their anime developments. The gaming marketplace in Japan alone last year surpassed 1.38 trillion yen, with a trillion of that coming from online games such as the smartphone apps that CyGames is known for. 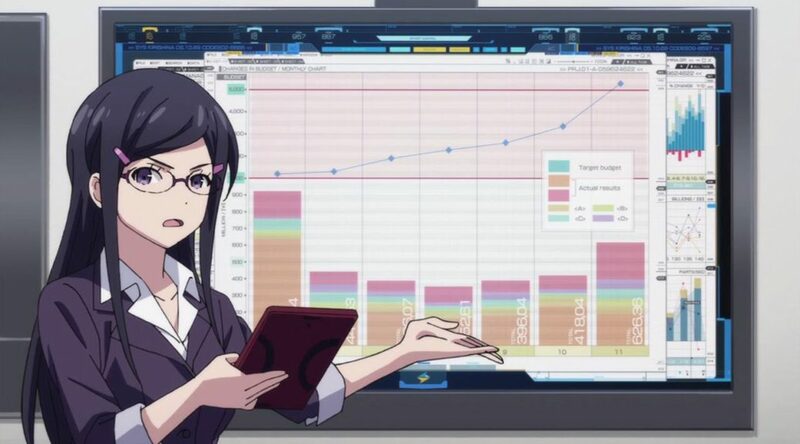 CyberAgent’s plan is to use that money to develop games for anime titles, or creating original anime IPs that they can then monetize through games. They’ve reportedly seen lots of benefit from anime adaptations of their properties (see GranBlue Fantasy this season for one example), plus their streaming service Abema TV which is performing well. It’ll be interesting to see what developments come from their increasing investment in this industry. Let’s end with a very different kind of plan that will also benefit creators. Though this isn’t related to anime directly as Shima Films focuses on small live-action films, this shopping area was used in Tamako Love Story and this season’s The Eccentric Family, so I thought fans of this blog would appreciate hearing about this development. In April 2013, Shima Films and the city of Kyoto itself began the Rissei Cinema Project alongside Cinema College Kyoto, which entailed showing a variety of films daily at the old Rissei Elementary School. Their agreement with the city of Kyoto will end at the end of July. As Shima Films helps young filmmakers make movies to develop their skills without financial worries, this would be a huge loss as it’s an independent location where they can show their work to the general public. However, Shima Films is taking this opportunity to develop their own theatre in an abandoned space in Demachiyagani’s shopping street. Instead of taking on the full risk themselves, Shima Film’s Seichi Tanaka took their project to the public to get some money via a crowdfunding campaign. They’re running it on Motion Gallery, a crowdfunding site that film and other entertainment creators can use in Japan to get funds from others, much like Kickstarter in the West. The planned theatre is a remodeled 3 floor building with a basement. The basement would house a 55 seat theatre, the first floor would be a bookstore and cafe, and the third floor would be a workspace/gallery area that would house the weekend Cinema College Kyoto courses. It’s a fascinating example of how creative young companies operate in Japan, and how crowdfunding can be used for projects we’re not always aware of. And to tie it back to anime, one of the last films shown at Rissei will be In This Corner of the World!